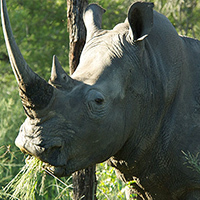 Botswana is one of the top African safari destinations and not only in Southern Africa, but in entire Africa. One might not think that, when considering, that the country consists mostly of desert. But exactly that Kalahari Desert creates the most beautiful safari area, the Okavango Delta, which leads directly to reason no.1. -The Okavango Delta is the dream African safari destination with the Big Five roaming in an amazing habitat of water and land. -The Okavango Delta allows waterborne safari activities deep into the channels of this amazing maze of papyrus and water where elephants and hippos stroll, swim and graze. 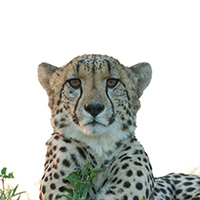 -The Kalahari with its own special beauty, desert adapted animals and stunning landscapes. A perfect contrast to the delta. -The Makgadikgadi Pan, a salt pan for perfect star gazing and home to one of Africa’s greatest migrations of zebras. And not to forget the home of very cute meerkats. -Chobe and Linyanti with spectacular swamps and the Chobe River, home to huge elephant populations and many more amazing wildlife including the Big Five. 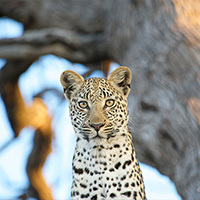 Botswana is one the best destinations for outstanding wildlife sightings in combination with exceptional light, which is important for wildlife photography enthusiasts. An African safari in Botswana is a true wildlife adventure in truly remote bush with excellent guides and very beautiful and comfortable camps. The combination of water, land and desert safaris makes it really special. This is not about construction sites at the lodges your tour operator is not telling you about or that the food is actually really bad at the camp, that you booked. 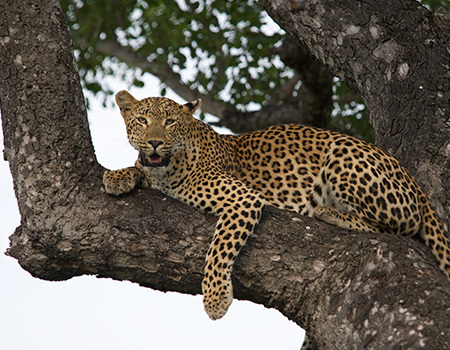 This misinformation might happen occasionally, but most of the tour operators are good and do their best to help you with an awesome safari holiday. This is about the incredible work that’s done in the background to make sure you have the best African safari experience ever. Safari lodges and camps are at remote places, which come with logistical challenges while being at the same time exposed to moods of the elements. Imagine only the delicious food at the camps. Being for example at a camp in the Okavango Delta, surrounded by water with only small aircrafts able to land, demands excellent planning and logistics. The guys at the camp need fine tuned order systems to make sure it is always the needed variety of ingredients available and not to forget one. You cannot go quickly to the next supermarket and get the strawberries. They got to be flown in at the right time for the planned menu, not too early and not too late. It can get expensive when the logistics are not right and food would be wasted or meals wouldn’t be of the expected quality. And food is only one part of the operations. Staff planning, maintenance and everything else is just as complex and well thought about long in advance. A small mistake costs a substantial amount of money and time. Big hotels are already impressing when seeing the big operations in the background, yet doing all that in the African bush is even more impressive. Outside temperatures can rise well above 40 degree Celsius, yet the kitchen has to work perfectly with no air-conditioning at hand. Heavy rains and floods can occur and still the safety of the guests must be guaranteed. Buffalos can decide to eat the thatched roofs or elephants find a new route straight through camp, yet the operations must go on with no effects on the guests safari experience. The people in the camps are doing great work to make sure all is perfect, no matter how the circumstances are and silently in the background.